A hard-hitting new study claims that living a sedentary lifestyle is more detrimental to health than smoking, diabetes and heart disease. 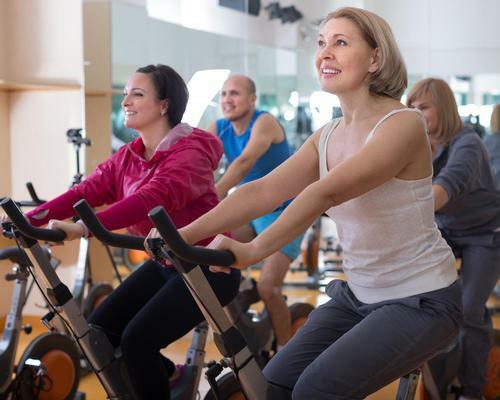 The findings are based on a retrospective study of 122,007 patients over the course of 23 years, (between 1991 and 2014), which looked at the association between cardiorespiratory fitness and long-term mortality. During the period, the patients had undergone testing at Ohio's Cleveland Clinic – including exercise treadmill testing (ETT) – giving an overall picture of their cardiovascular fitness. Of those taking part, 13,637 died during the 23-year period. The study found that there was an increase in all-cause mortality associated with reduced cardiorespiratory fitness comparable to – or greater than – traditional clinical risk factors such as coronary artery disease and diabetes. In subgroup analysis, extreme cardiorespiratory fitness – seen in elite athletes – was associated with the lowest risk-adjusted all-cause mortality compared with all other performance groups. In its conclusion, the study found that cardiorespiratory fitness is inversely associated with long-term mortality with "no observed upper limit of benefit". Extremely high aerobic fitness was associated with the greatest survival and was associated with benefit in older patients and those with hypertension. "Cardiorespiratory fitness is a modifiable indicator of long-term mortality, and health care professionals should encourage patients to achieve and maintain high levels of fitness," the study reads. Dr. Wael Jaber, a cardiologist and a senior author of the study, added that the results were "extremely surprising." "Being unfit on a treadmill or in an exercise stress test has a worse prognosis, as far as death, than being hypertensive, being diabetic or being a current smoker," Jaber said. "We've never seen something as pronounced as this and as objective as this." The results of the study – by Cleveland Clinic Foundation – were published on 19 October in the journal JAMA Network Open.